Minimum: Pentium 4 2.4 GHz/ Athlon 64 2800+ (Intel & Athlon 1.8 GHz Dual Core or better, 512MB RAM (768MB Vista), 128 MB graphics memory(NVIDIA GeForce 6600+ / ATI Radeon 9800 Pro+), DirectX 9.0c, 8 GB Hard Disk space. Recommended: 2.4 GHz dual core or better, 1 GB RAM (2 GB Vista), NVIDIA Geforce 7800 or better/ ATI Radeon X1800 or better (3.0 shader required), DirectX 9.0c, 8 GB Hard Disk space. Developed by Infinity ward and published by Activision, Call of Duty 4: Modern Warfare takes first-person shooter to a new level as the game brings us out of the World War II scenario and into a modern era. It has been released for Windows, OS X, Xbox 360, Playstation 3 and Wii. A version for Nintendo DS also came out later titled, Modern Warfare: Mobilized. It uses the engine Proprietary(IW 3.0) and is followed by two sequels namely, Call of Duty: Modern Warfare 2 and Call of Duty: Modern Warfare 3. The year is 2011 and somewhere in an unnamed country in the Middle East, a revolution rose, led by Khaled Al-Asad, resulting in the execution of the President of the country, Yasir Al-Fulani. And in the meantime in Russia, ultranationalists and the government engage themselves in a civil war. The ultranationalists, who seek to restore Russia to its soviet-era glory, are led by a Imran Zakhaev. Call of Duty 4 follows an almost movie-like plot where the story is unraveled from behind the eyes of several characters including Sgt. Paul Jackson, Marines 1st Force Reconnaissance Co and Sgt. 'Soap' MacTavish, British 22nd SAS Regiment. The story starts off as Sgt. MacTavish joins the squad of Capt. John Price, leader of the Bravo Team. Based upon the intel given by a Nikolai, Russian, the British SAS team find themselves on an Estonian freighter, looking for a suspected nuclear package. Information points that the package may belong to Al-Asad. Meanwhile, a platoon of the USMC 1st Reconnaissance Co, Lt. Vasquez, Staff Sgt. Griggs and Sgt. Paul Jackson, invade a small town in a country in the Middle East in order to capture Al-Asad. It was thought that Al-Asad was broadcasting live from a TV station there. But upon securing the TV station, they realize that it was a false alarm. On the third day, the US forces launch an attack on Al-Asad's palace, engaging his ground forces in combat. Lt. Vasquez is warned about a possible nuclear warhead in the vicinity, but he fails to complete evacuation in time. As a result, everyone in the area falls casualty as the nuclear device explodes. Nobody except Sgt. Griggs makes it out alive. Upon further word from the informant Nikolai, the SAS team move to a possible hideout of Al-Asad in Azerbaijan. After securing several buildings in the area, Al-Asad is finally captured. In the middle of his interrogation, Al-Asad's phone rings and the incident reveals that the nuclear package in fact belongs to the Russian Ultranationalist Imran Zakhaev, the caller. Price himself executes Al-Asad then and goes on to tell the team of a failed mission from his own past in 1996.John Price was, at the time, only a Lieutenant under Captain MacMillan. They had gone off to Pripyat, Ukraine, where they waited for three days before spotting Zakhaev. Lt. John Price snipes his target from the top of a derelict hotel, only managing to disable one of his arms. They escape from the scene hoping that Zakhaev would fail to live due to loss of blood. After Al-Asad's death, the SAS, US Marines and the Russian Loyalists engage themselves upon finding the location of Imran Zakhaev. But, finding no clues, they decide to capture his son, Victor Zakhaev, in order to extract information from him about his father. They manage to track down Victor and corner him on the terrace of a building. But before Sgt. MacTavish could restrain him, Victor Zakhaev commitssuicide, shooting himself, thus protecting information about his father's whereabouts. Infuriated by his son's death, Imran Zakhaev captures an ICBM launch facility, set in Altay Mountains, and threatens to launch missiles at the US to avenge his son. Price then sets off on a joint British-American mission to prevent Zakhaev from carrying out his threat. They infiltrate the launch facility only to find that two missiles had already been launched, endangering the lives of approximately 41 million US citizens. The operation team moves into the control room and manages to destroy the missiles in flight over the Atlantic using the abort codes. They escape the facility with Russian Ultranationalists forces hot on their trail. As the party flees, an Ultranationlist Mi-24 Hind helicopter destroys a bridge on their route, causing them to stop and face their enemies. The face-off kills almost everyone but a wounded Price manages to slide Soap a M1911 at the last moment, with which he kills Zakhaev and his remaining soldiers. The Russian Loyalists soon arrive to the rescue and tend to Sgt. Soap while the medical team try to revive an unconscious Capt. Price. The modern warfare series brings Call of Duty to a new level with the introduction of state-of-the-art weapons and artillery, moving out of the World War II picture. The player can remain in any one of standing, crouching or prone stances. Each stance comes with its own accuracy, rate of movement and stealth. When the player takeshit, the edges of the screen glows red, the direction in which the screen glows red, indicates the source of the enemy bullet. The indicator also glows when a live grenade is nearby, allowing the player time to escape or take cover. Covers can be taken behind opaque objects, when the player has taken sufficient damage. A little time spent in covers can help to recover the player’s health. As such, there are no provisions for armor or power-ups for health. 1. This is the objective text. It displays the current objective that the player is required to fulfill. 2. This is the compass. It helps to determine direction and in navigation. 3. This indicated the current number of remaining flash grenades. 4. The number of remaining grenades is displayed here. 5. This displays the ammunition left for the selected weapon. This is the single player mode, where the player has to take the role of various characters throughout the plot. The campaign mode is divided into three Acts along with a Prologue and an Epilogue at the end of the mode. The Acts are each divided into several separate missions. Each mission comes with its own set of objectives. Different objectives require the player to accomplish various tasks such as, wiping out entire enemy forces in a certain location, holding ground and defending the platoon for a certain time, reaching certain checkpoints in the map or planting explosives and such. The game is played from the point of view of different characters in different missions, as such the timeline of the missions overlap, sometimes having the player to play through two missions consecutively that occur in simultaneous moments in two different parts of the globe. 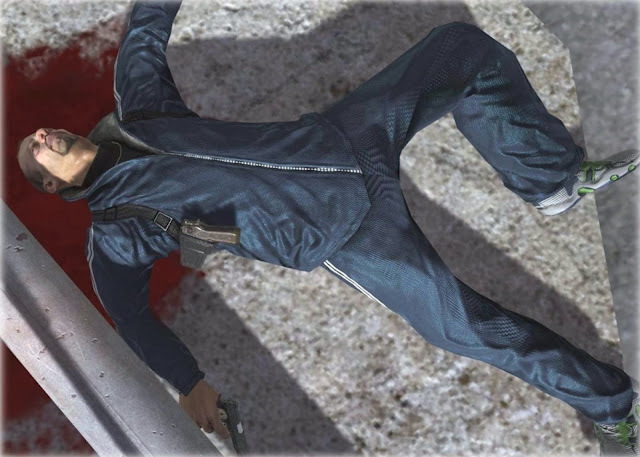 The game features dramatic cut-scenes which keep the story lively and packed with explosive moments that could send chills down the player’s spine. Team Deathmatch. 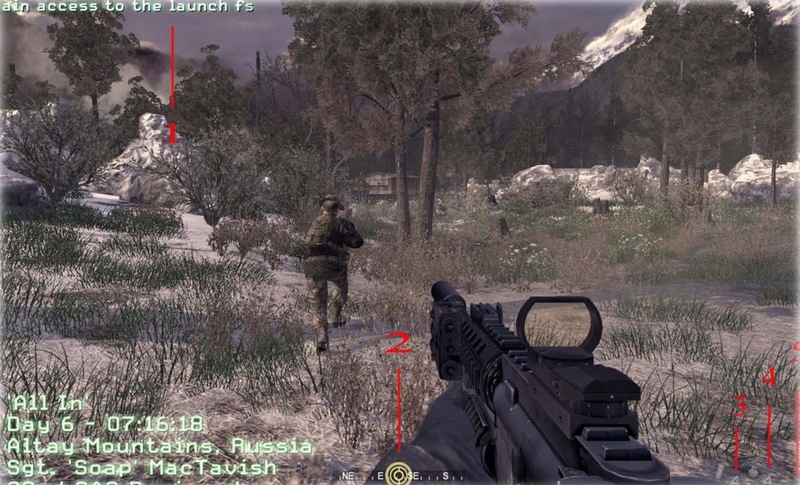 Modern Warfare also boasts twenty different online maps currently. A session ends when a particular side or player reaches a predefined number of points. If the time expires before the required points are gathered, the team or player with the current highest points is declared as the winner. In the event of a tie, the players enter Sudden Death mode with no re-spawning. Thus the last player or team to remain standing on the battlefield wins. Call of Duty 4: Modern Warfare Multiplayer isn’t just about shooting your enemies to ensure victory. It comes with features such as the Killstreak reward. If you manage to complete three, five and seven consecutive kills, you will be rewarded with Radar, Airstrike and the Helicopter respectively. Radar or UAV reconnaissance scans allows the player to see the exact locations of his enemies on the minimap, unless the enemy is pre-equipped with UAV jammers. This can be quite useful if your magazine is fully loaded. The Airstrike becomes available to you if you complete five consecutive kills. You are allowed to select a certain location on the minimap and fighter jets will come swooping in, dropping a number of three cluster bombs on the specified co-ordinates, all in seven seconds. This will add to your kill streak which could take you to seven consecutive kills, unlocking the Helicopter. The helicopter support can be called upon if the player achieves seven consecutive kills. It circles the map and shoots at any enemies in view but only for up to two minutes, unless an enemy manages to shoot it down before. The kills made by the helicopter will count as kills made by the player but it will not add up to the number of kills for the weapon under selection. Players can track their achievements through experience points gained by killing opponents or completing objectives. Sufficient experience points causes the player to rise up the ranks. There are 55 ranks in total which loosely follow the ranking system of the Marines, United States. However, the console version of the game has an unlockable called the ‘Prestige’ mode, where the ranks are brought back down to one, but a different insignia is awarded. Unlockables also include new weapons, camouflages, perks and challenges. When a player levels up, newer classed become available and he is even allowed to create his classes at one point. Default classes include Sniper, Demolitions, Light Machine Gunner, Spec Ops, Assault class. However, they are not all available at the beginning but have to be unlocked through experience points. The offline multiplayer mode on the consoles however has a set of ten classes, made available by Infinity Ward. The player has to choose from any of these ten predefined classes when playing in multiplayer mode. In addition to this, three perks can be selected from each of the three tiers. Perks are special abilities that can define the character of the player further according to the style of his play. Exploding a grenade when the player dies, increased bullet damage, extra ammo are some of the perks available. Besides completing special challenges such as reaching a certain number of kills, or taking a helicopter down, or achieving a predefined number of headshots with a particular weapon, unlocks camouflages for that specific weapon which can be used later. The players are allowed to choose a primary weapon alongside a secondary weapon. They can also carry a grenade. Primary weapon can be chosen from sniper rifles, shotguns, light machine guns, submachine guns, assault rifles. Each weapon type contains two or more choices. After the selection of primary weapon, the player can further select camouflages or other attachments with which they will be able to modify their weapon according to their need. Secondary weapon can only be chosen if the player is using the ‘Overkill’ perk. This perk allows the selection of another primary weapon but without any camouflages. For players without this perk, sidearms can be chosen in place of a primary weapon as their secondary weapon. Grenades on the other hand are of flash, stun or smoke types mainly. Besides, there are several attachments that can be used on the weapon such as scopes and camouflages. Different camouflages can be unlocked in the multiplayer mode as the player goes up the ranks. If a certain number of kills can be made by a certain weapon, then camouflages will be unlocked for that particular weapon. Basic camouflages include woodland and desert. More can, however, be unlocked through achievements. There is a special type called the ‘Golden Camouflage’ which has to be unlocked and is available only for six weapons and no others. 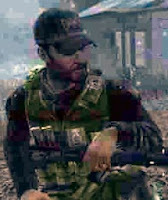 John Mactavish, Scottish, was the main protagonist of Call of Duty 4: Modern Warfare. He appeared as a sergeant, a sniper and a demolitions expert serving under the 22nd S.A.S. Regiment. He plays a vital role in the period of the Ultranationalists crisis. 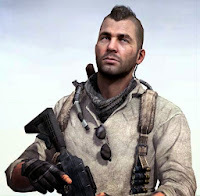 He was a newbie to the British Special Air Service and also part of Captain John Price’sBravo Team.In addition to other characters, players assume Soap’s role in Call of Duty 4: Modern Warfare. Sergeant Paul Jackson belonged to USMC 1st Force Recon Co, being one of the main protagonists during Act 1 of Call of Duty 4: Modern Warfare. 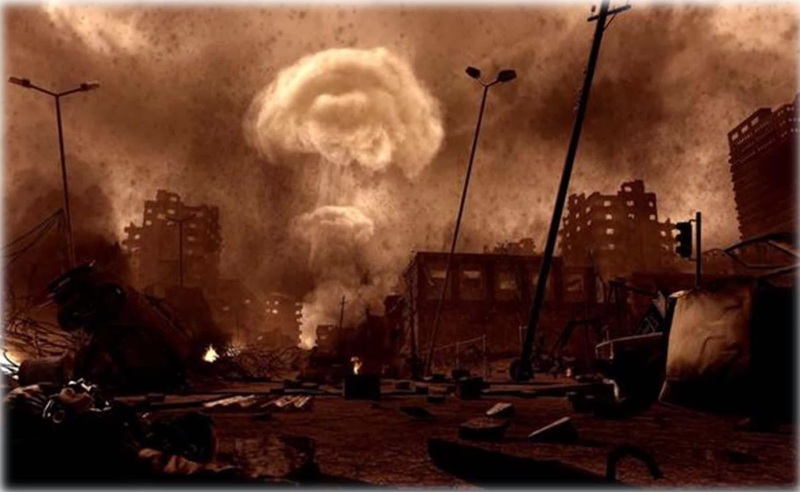 He died during the nuclear explosion alongwith 30,000 others, the bomb that was triggered by Vladimir Makarov. 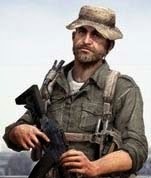 Captain John Price was a member of the British SAS and also led the Bravo Team. He led the British-American joint operation to take down Imran Zakhaev during the events of the Russian Ultranationalists crisis. John Price had served as Lieutenant under Captain MacMillan during his early career and fancies a boonie hat. An anonymous SAS soldier rescuing a hostage on board a plane. AnanonymousThermal Imaging TV operatoron board an AC-130H. Yasir Al-Fulani, the President of the unnamed Middle Eastern country who later gets executed. 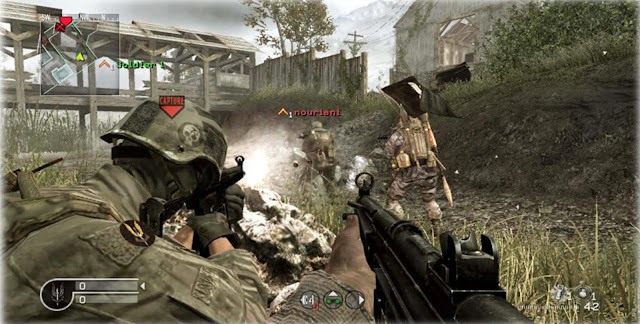 Call of Duty 4: Modern Warfare has gained critical acclaim from various gaming magazines and other video game publications. As of May, 2009, Activision has reported that the game has sold over 13 million copies worldwide. It had been the bestselling game of 2007 with over 7 million copies sold by January of 2008. 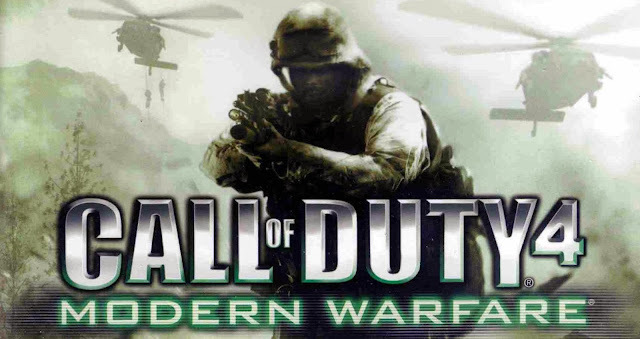 Call of Duty 4: Modern Warfare also did not fail to receive awards from gaming sites and other well-known publications. It won awards from GameSpot, GameTrailers, GamePro, IGN, X-Play among various others. It got voted as the 7th greatest PlayStation title by to be released ever by PlayStation Official Magazine. A Collector’s Edition was released which contained the original retail game along with a DVD which bore a documentary, a making-of feature and a level walkthrough. 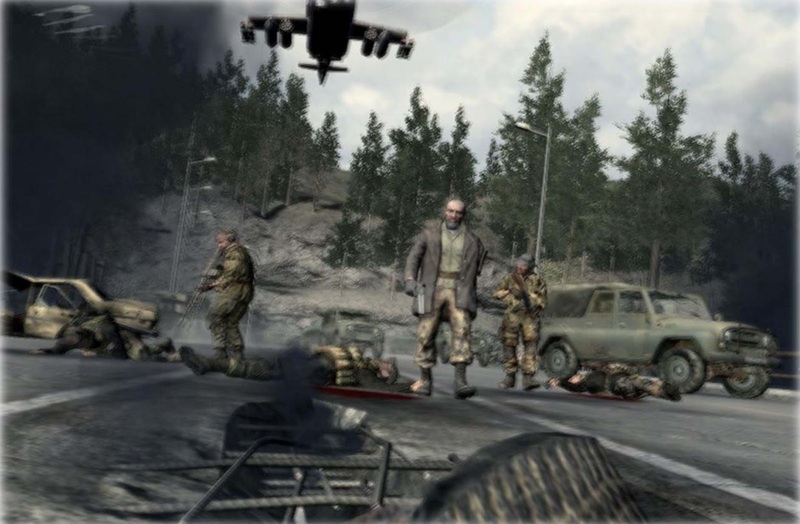 Call of Duty 4: Modern Warfare lived up to the gamers’ expectations with outstanding graphics and a physical world powered by the IW 3.0 engine. It was developed by a team containing roughly 100 members. Infinity Ward even visited a Marine training facility in California, to gather data in order to enhance the game’s realistic feel. Marines also provided their field experiences, all of which were implemented in the game, to give the gamers an actual idea of what it’s like to be in a real battlefield. Sounds, music by Stephen Barton and Harry Gregson-Williams and a storyline that lands the player right in the shoes of the character, takes first-person shooter experience to a new horizon, in the Call of Duty 4: Modern Warfare. Overall, there aren’t many complains about the game, but why take others’ words? Find out for yourself. Test yourself against friends in the Multiplayer mode. Experience Call of Duty 4: Modern Warfare.